It can be scary to hold your newborn--especially your first time! Yet God's grace and spirit are present. Blessing and Prayers for New Parents calls attention to these holy moments by offering reflections, prayers, scripture, special suggestions for growing as a parent, and ways to remember how much you love your child as you grow together as a family. Enjoy the new life of your child as author Matthew Beck shares prayers and blessings as you "anxiously await the wonder" on up through "God and toddlers" and beyond--all through the eyes of a new parent and all wrapped up in God's care. Matthew Beck is currently the Parish Life Director for St. Michael Parish in Palmer, Alaska, where he has served since 2005. He coordinates sacramental responsibilities with a Filipino Priest from the Diocese of Cotabato on loan to the Archdiocese of Anchorage and assigned to the parish as Parochial Vicar. Matthew has also served in youth ministry, as well as supported faith formation in several capacities throughout his career. Matthew holds and Masters in Pastoral Ministries from Saint Mary's University of Minnesota, Winona, Minnesota., and a BS in Secondary Education from the University of Idaho in Moscow, Idaho. Matthew and his wife Teresa have been married since 1993 and have 3 beautiful children, Julia, Maria, and Olivia, where he fulfills his primary vocation as a husband and a father of three daughters. 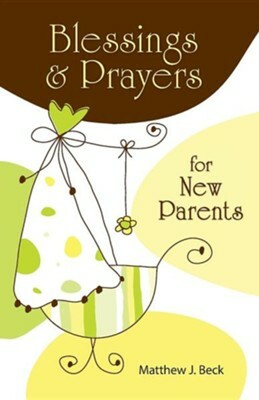 I'm the author/artist and I want to review Blessings and Prayers for New Parents, First Edition.